In the natural world, the physical behavior and appearance of hair is largely influenced by the external substances present on it, such as water or cosmetic styling products (e.g. hairspray). Yet, the influences of these substances are ignored in existing graphical hair modeling systems. 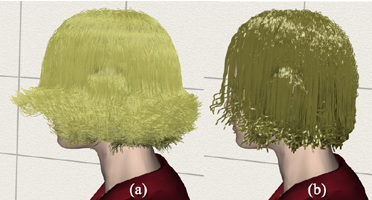 We present novel methods for capturing the key characteristics of hair influenced by water and styling products. 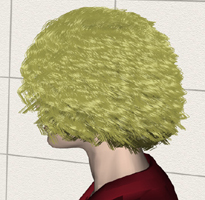 Our method includes a dynamics system that adaptively accounts for changing stiffness and weight of hair, a geometric representation that can alter the physical depiction of hair based on the substance(s) present on it, and a rendering approach to account for the varying appearance of hair. Additionally, our system captures the complex interactions between hairs in the presence of the external substances. 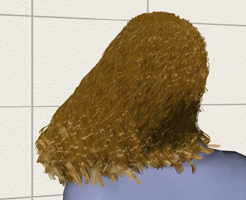 Strands of hair can dynamically bond together due to the introduction of water or styling products. 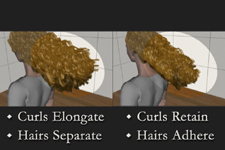 All of these properties can vary on the fly as water or styling products are applied to the hair. 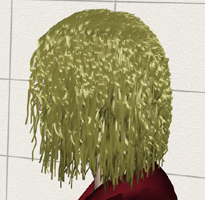 Modeling Hair Influenced by Water and Styling Products. Kelly Ward, Nico Galoppo, and Ming C. Lin. Proc. 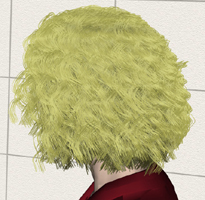 of Computer Animation and Social Agents, 2004. 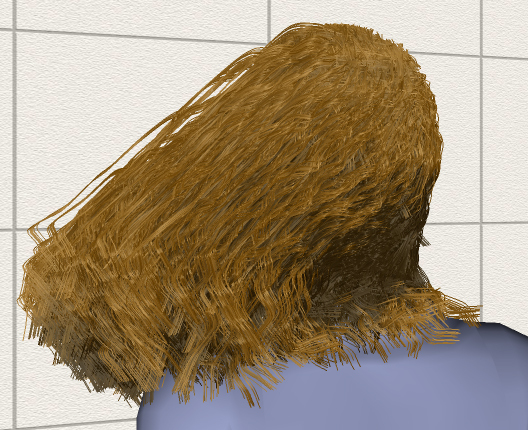 Simulating and Rendering Wet Hair. Kelly Ward, Nico Galoppo, and Ming C. Lin. ACM SIGGRAPH Sketches and Applications, 2004. 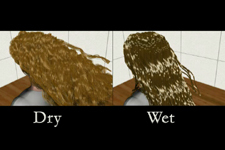 This video shows a comparison between simulated dry and wet straight hair. 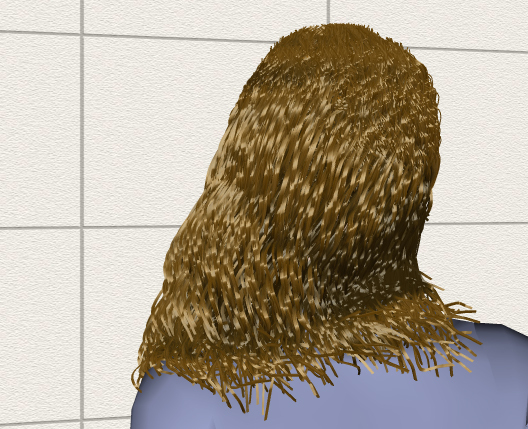 The hair progressively becomes wet. 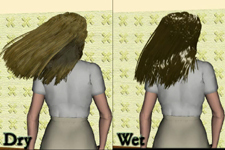 This video illustrates our a section of hair becoming wet and a comparison between wet and dry curly hair. In this video we illustrate the influence of styling products on hair. Our dynamic bonds are also shown.